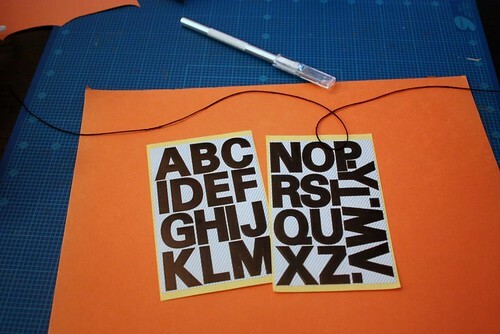 All you need is alphabet stickers, coloured paper, string and scissors (or a craft knife). 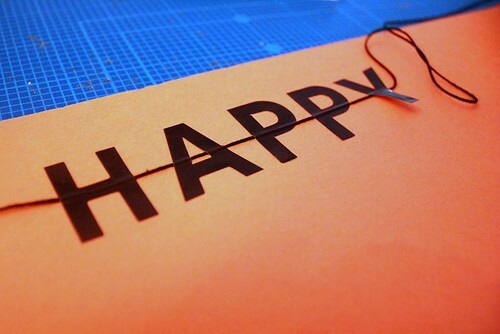 All I did was to stick the letters to the coloured paper with the string wedged between the two layers. I worked on one word at a time. 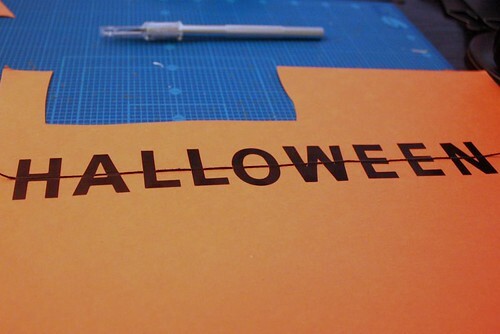 Once you've stuck all the letters, then cut them off the paper leaving a little part of the backing visible. 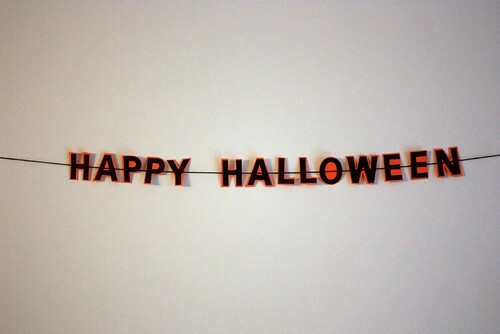 The only tricky part here is to NOT cut the string, but let it go through each letter in tact. That's all! Then hang the garland up or mail it to a friend!